Berwick Rangers – McCrorie, McKinlay [b87], Thomson [Phillips 70], Lavery [b61], Willis, O’Kane, Cook, Wilson, Hamilton [Murrell 47], Simpson [Fleming 71] and Todd. Subs not used – Orru, Notman, Fairbairn and Brennan. For the second midweek in a row Stenhousemuir travelled to Berwick knowing that a win would secure a play-off spot. Just as the previous meeting though the game ended in a draw and frustration for the Warriors. Colin McMenamin returned to the starting eleven after missing the previous encounter. Mark Ferry was unavailable as he was unable to get time off work whilst sub Innes Murray was with Hibs Under 20s. The absence of Ferry for the first time this season meant that David Marsh came in to central defence with Ross Dunlop moving into Ferry’s role. On the Saturday prior to this game Berwick had secured their position in the league and took this game as an opportunity to swap the squad around and give some of the fringe players a game. The previous game had seen Stenhousemuir dominate the early stages without reward and this was the case here as well. The Warriors had a series of corners in the first few minutes but the closest that they came was a Marsh header that was cleared off the line and a McMenamin shot that just missed the target. In the 28th minute the home side took the lead when Jack Hamilton took full advantage after a Steven Thomson struck a defender and fell into his path. Things were to get even worse for the visitors five minutes later when Paul Willis scored the Borderers second when he combined with Hamilton before slipping the ball past Chris Smith. That goal could have knocked the stuffing out of Stenhousemuir but to their credit they managed to claw their way back into the game. A patient move started deep in their half of the pitch when Hamilton was dispossessed in a tackle and after a series of passes the move ended with Andy Dallas heading the ball home. There was consternation in the home ranks as Hamilton had went down in the tackle and was still out of action when the goal was scored. After treatment he returned to the action but the on-loan striker from Livingston eventually to leave the pitch just after the second half started. Unbelievably by the time the interval came the Warriors were back on level terms with Dallas being the provider for McMenamin to score from close range. They could even been ahead as with virtually the last touch of the Robby McCrorie gathered a shot at the second attempt after it appeared to go through his legs. 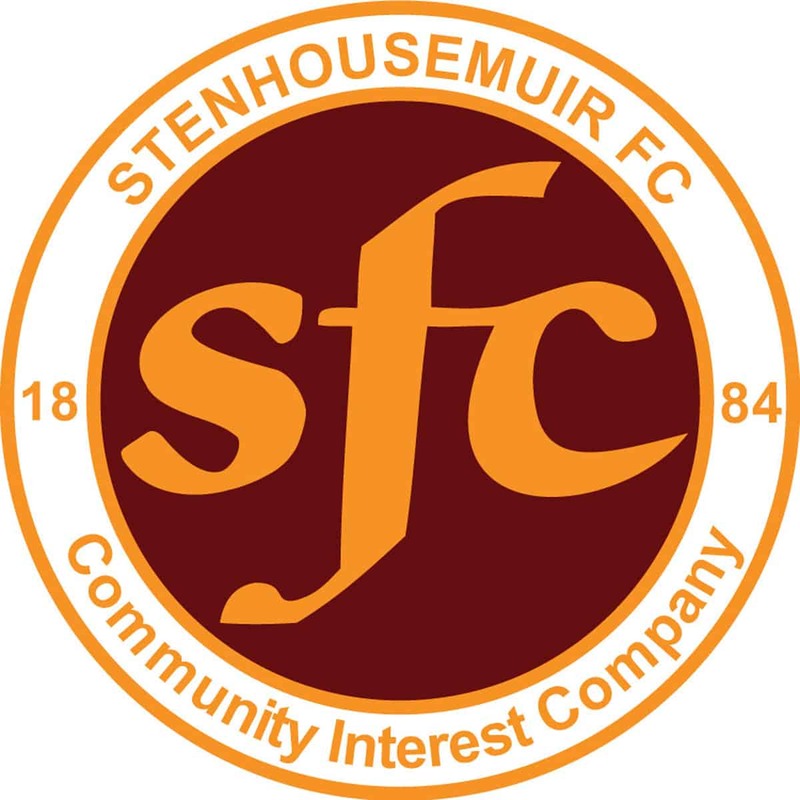 The second half saw the Warriors have the bulk of the chances and when Kevin McKinlay collided with his own keeper to leave Eddie Ferns free it looked as if Stenhousemuir would take the lead. The referee however felt that McKinlay had been pushed and the danger was averted. Berwick looked to be giving the visitors a helping hand and Paul Simpson headed a Ferns cross just wide of his own goal. McCrorie was the busier of the two keepers and he had to be on form to tip a Harry Paton shot over and then to deny McMenamin whose effort was saved by McCrorie’s leg when it looked to be going in. In the last few minutes Stenhousemuir pushed forward to get the winner and Thomas Halleran who came on in the last minute of normal time had two good strikes from distance take the slightest of deflections to keep the score level.